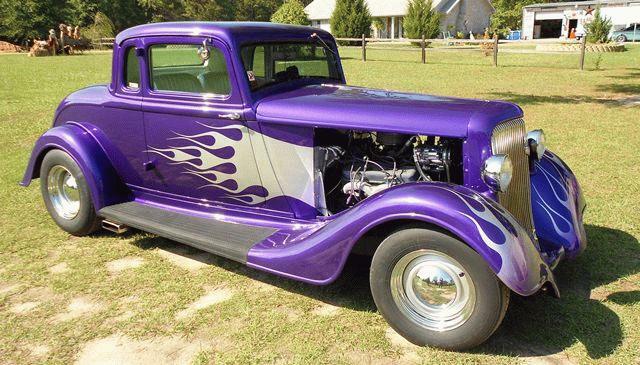 1934 Plymouth 5 Window Coupe!! 13605 Miles, Chevrolet 350 Motor, R700 Overdrive, Mustang 2 frontend, ididit steering column, Air Conditioner, CD FM/AM Stereo, Power Windows, Electric Wiper, Totally Rust Free Car originally from Arizona. You want a show stopper this is your car.. This car has won so many awards. MUST SEE! !